Every Batman fan’s fantasy is driving the “Batmobile” when they grow up. If any of us were to become miraculously rich and buy the vehicle, we’d probably have locked it up like a showpiece, away from anything that could give it a handprint, let alone a scratch! 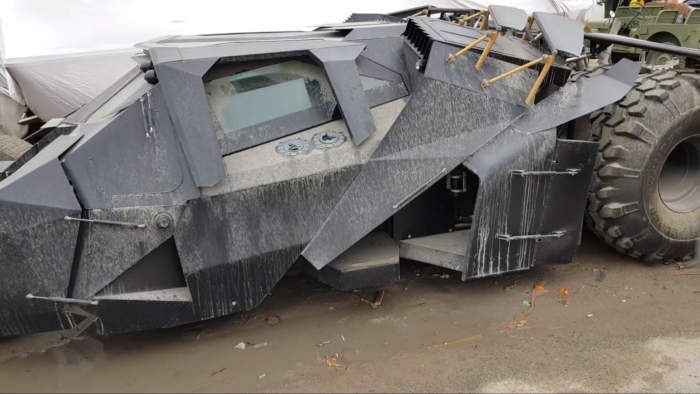 Recently, two Indians found Batman’s Tumbler covered in dust somewhere in Dubai and just the very sight of it breaks my heart! The vehicle is seen alongside several other cars in the same condition at a local garage. 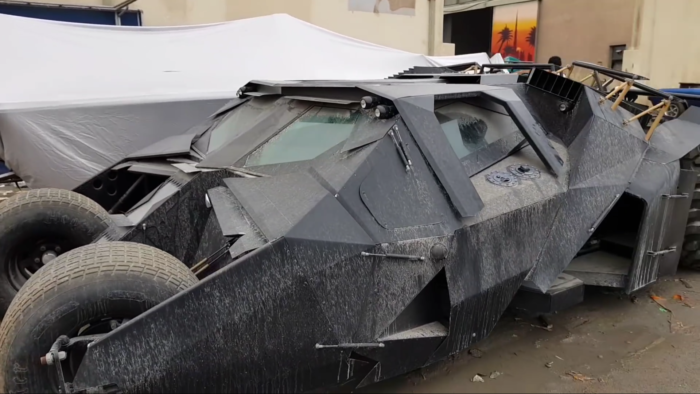 The guy who seems like the owner of the garage says that it’s the exact same vehicle which was used in The Dark Knight. 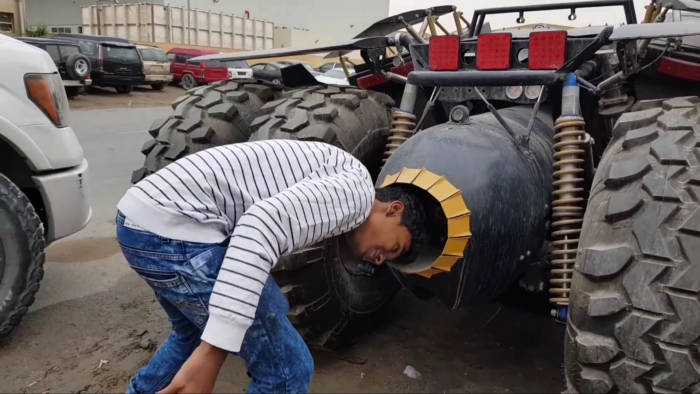 The vehicle has the Batman logo on its steering wheel, attached CCTV cameras on the sides, and an exhaust which can perfectly fit a human head inside. This Batmobile was one of the four which were used in the movie. However, when someone bought it, it was still a prop. “It didn’t steer. 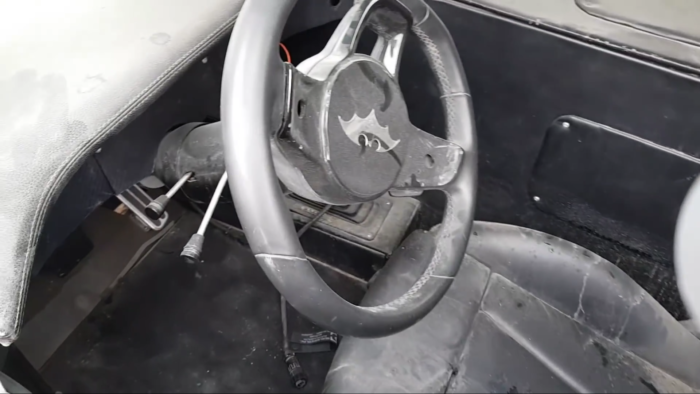 So they brought it to me and I re-engineered it so that it could drive”, said the garage guy. The person who bought it spent USD 900,000 (INR 6.4 Crore)! 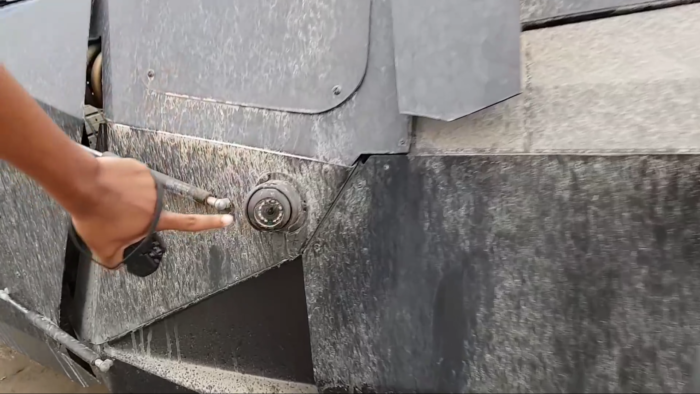 The YouTubers revealed that the garage is making a fire-breathing system for the exhaust so when you drive it, you will look straight out of the movie. If the dusty condition of the vehicle wrenches your heart then remember, it’s not what it is underneath, but what it does that defines the Batmobile!